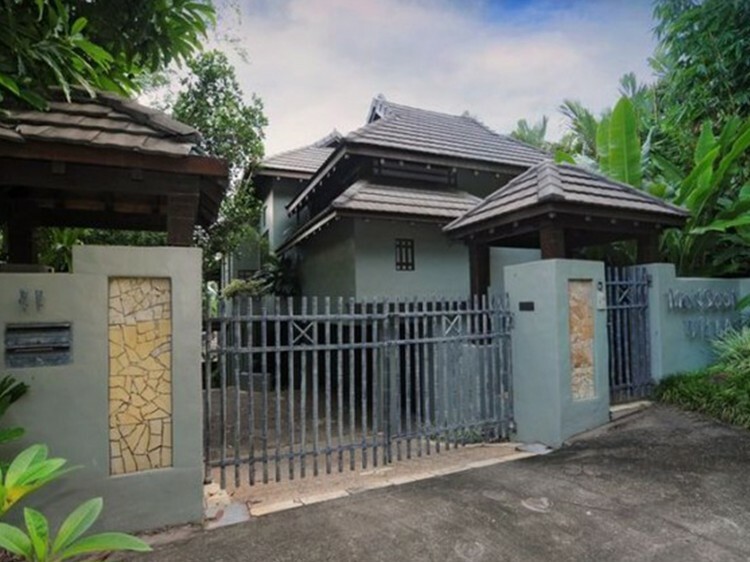 Relax in the expanse of this exotic 4 bedroom and 3 bathroom villa in the heart of Port Douglas. 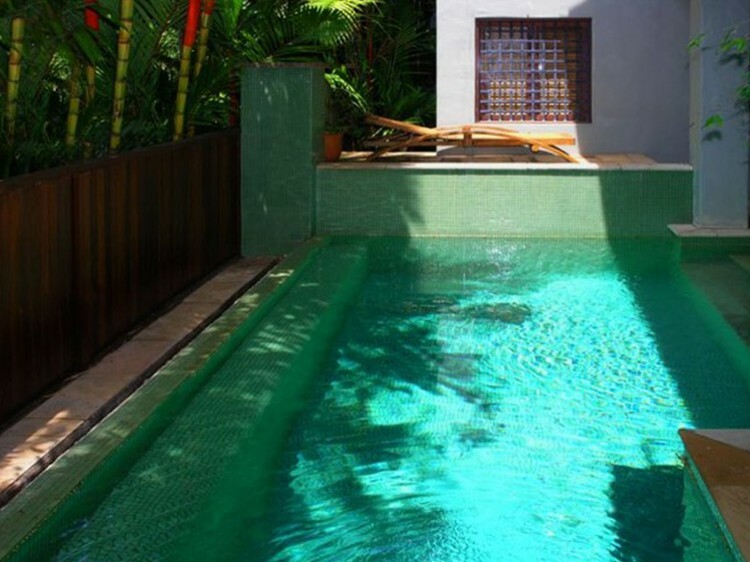 Fantastically located, tucked away between Macrossan and Murphy Streets, you'll find that even while the weather is perfect and the boutiques are calling you, it is hard to step away from this resort-like retreat. Be welcomed into the tropics by the red cedar door with iron studding the wood decoratively, along with the shower of bougainvillea down the outside wall. 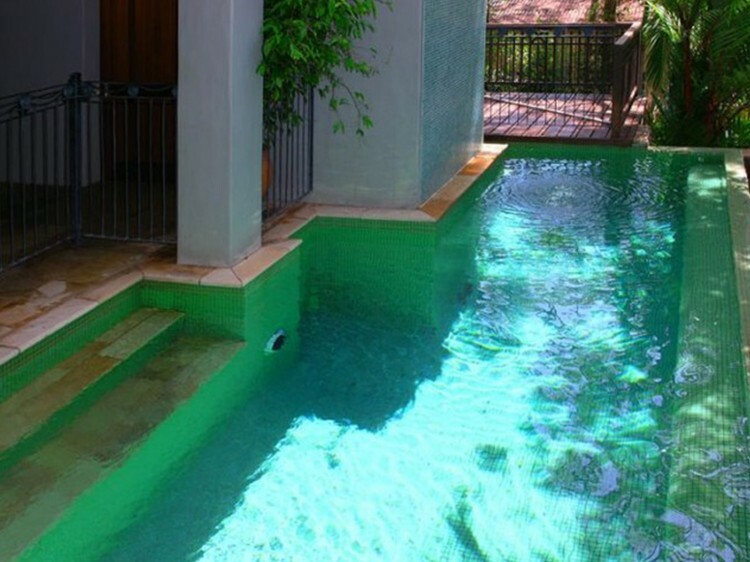 The plunge pool at this Port Douglas luxury villa will entice you in for a dip, while the balcony upstairs overlooks the mountains. 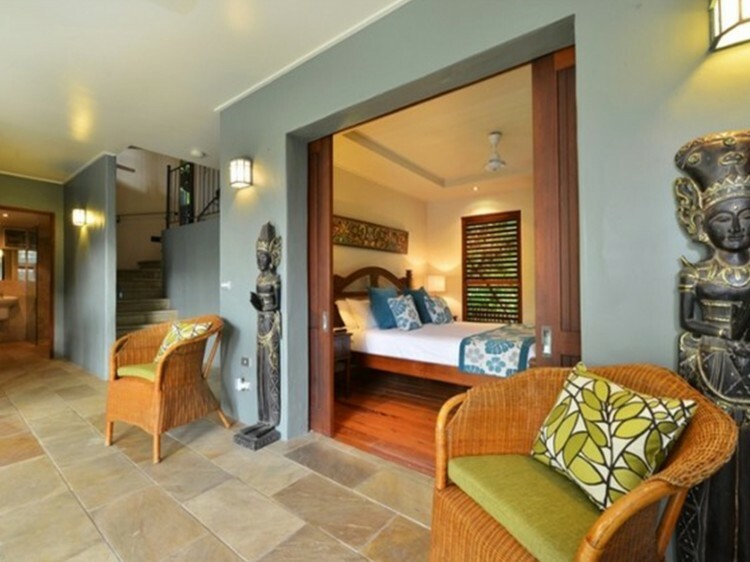 Each room is linked up by a cool stone corridor. The high ceilings, thatched bamboo and exposed wooden beams all contribute to a beautiful Asian fusion of design elements of this Port Douglas villa. Flowing across two levels, this hidden paradise from Monsoon will relax you. The soft edged rendered walls give the feeling of a Mediterranean villa, yet the thatched bamboo ceilings revels its secret.